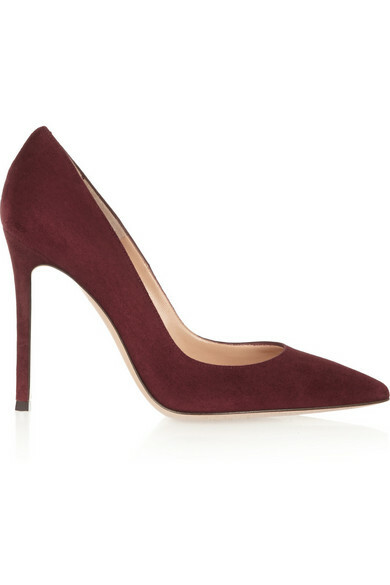 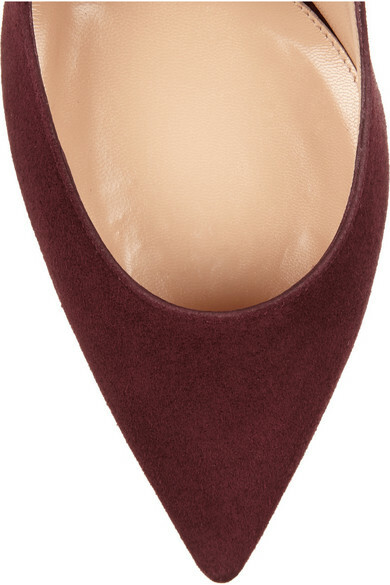 Gianvito Rossi's burgundy pumps are no less versatile than classic black styles - they work equally well with muted or brightly colored looks. 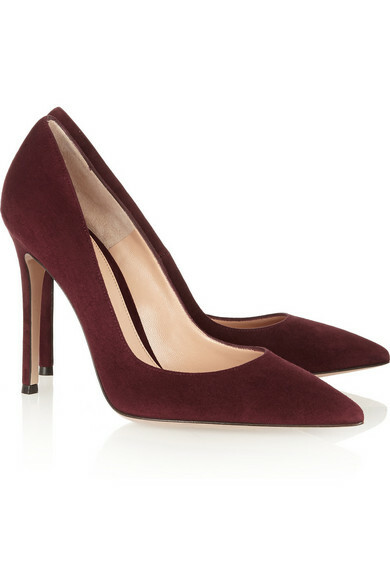 This point-toe suede pair has been expertly hand-finished in Italy for optimum comfort and quality. 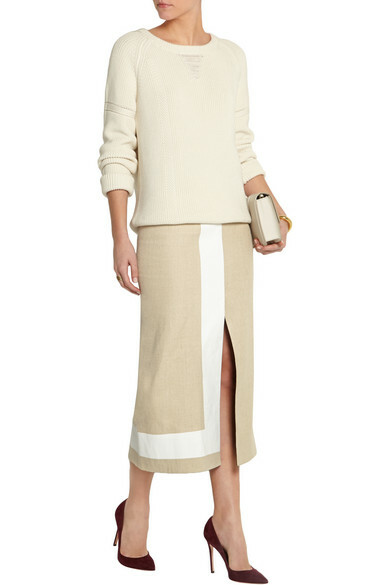 Shown here with: Wes Gordon Sweater, Victoria Beckham Skirt, Victoria Beckham Shoulder bag, Chloé Cuff, Maria Black Ring, Aurélie Bidermann Cuff.